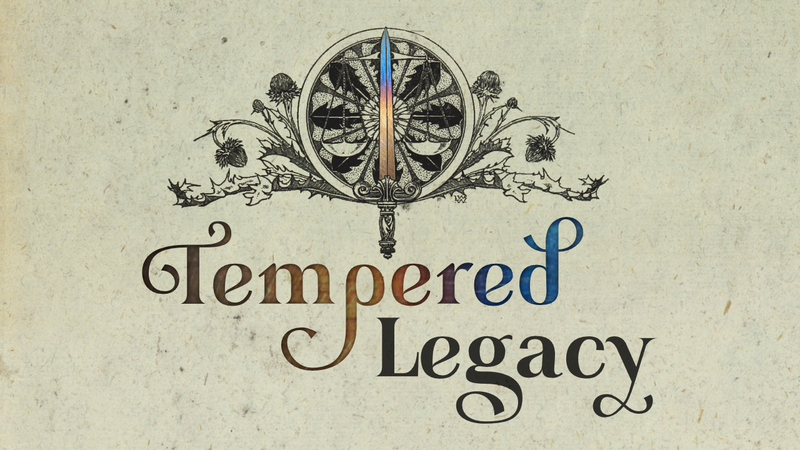 Tempered Legacy is a rogue-lite tabletop RPG framework where you are a weapon wielded by many. Old-school adventure games are fun, exciting, and often lethal. With this framework, players maintain a sense of progression through multiple adventures, campaigns, and even character deaths. It’s also an easy way to connect adventures that might otherwise be in different worlds/realities. My wife Lauren and I designed it using Knave by Ben Milton. Knave is awesome because it’s streamlined, simple, and compatible with a bunch of old-school RPG adventures. You should definitely go buy a copy of Knave; however, you could make “Tempered Legacy” work with any RPG system. A meteor crashed near the wagon of a clever trader. She awoke from her sleep and carefully went out to investigate. When she saw the small crater made by a chunk of glowing metal she was overjoyed. Everyone knew the legends of sky-steel, and she could expect to earn its weight in gold twice over! She bent down to pick up the meteorite and upon touching the still-warm surface she was overwhelmed with visions and memories from another world. Shocked she dropped the metal and pondered it for a long time. She retrieved a large knife and cut the soft metal into 100 tiny pieces. Each piece was small enough that she could carry it without being overwhelmed. The trader sold the small chunks for a tidy profit along her trade route, distributing them across the land. Blacksmiths and forged turned these chunks of meteorite into great weapons of legend, never truly understanding the potential that lay deep inside each one. You are one of those weapons, but your legend has yet to be forged. Each player generates a Tempered Weapon, laying on the ground of a dusty tomb, stored in an ancient vault, or forgotten in a castle’s armory. The GM then describes a group of Wielders coming along and picking up the weapons. Wielders can be heroes, thieves, lost villagers, or even a lowly goblin. Once they pick up a Tempered Weapon they gain access to all the histories, temperaments, and spells stored within. When a Wielder dies the player decides what to store in the Weapon. As Wielders fight and die the Weapon grows stronger, shaped by the player and the memories stored within. One player to be the Game Master or GM. 1-5 other players. Tempered Legacy works surprisingly well for duet gaming. A phone/tablet/computer to generate Weapons and Wielders. A copy of Knave (or the RPG system of your choice). Make sure everyone at the table understands the basic rules about saves, inventory, healing, attacking, etc. The GM describes the adventure to the players and places their Weapons just past the starting point. A group of Wielders stumble by and pick up them up and a new legend begins. Am I the Weapon? Or the Wielders? Both? Simple Vessels. Tempered Weapons are powerful artifacts capable of storing the skills and memories of past wielders. But at the end of the day, they are just a thing to be used. In the fiction of the game, Wielders use them however they see fit, and at the table, the Weapons are just a way for players to have some progression through multiple character deaths. Alien Sentience. Alternatively, Wielders are just tools used by the sentient alien Weapons. Maybe there is a bargain involved, or perhaps the Wielder and Weapon battle for control of the body. This can darken the tone of your game, so use it with caution. Sidekick. Weapons are powerful artifacts with a mind and personality of their own…but are completely dependant on the Wielder. Weapons may express their own goals and opinions, but the Wielder can always choose to ignore them. At the table, the players control the Weapon and the Wielder separately. Another idea is to let the GM control the personality of the Weapons, while the player controls the Wielder. The sidekick theme can really lighten the mood of the adventure. Blending. When a Wielder picks up a Weapon they are blended with all previous Wielders. A wholly new personality and character are created; this is what the player controls during the game. How this blending works is up to the group. Is it like gaining multiple lifetimes of memories? Being reincarnated? Talking with ancestors? No matter what the nature of the Weapons, the framework and rules are the same. This is my Weapon. There are none like it. Every weapon has a few characteristics that make it unique and useful. Name. The name of the Weapon. Type. Determines the damage, size, and description of the Weapon. Temperaments that grant new abilities and talents. Spells. When you cast a spell, make an INT save. If unsuccessful, the spell still works, but you lose access to it for the rest of the day. Histories are jobs, skills, and experiences from past Wielders. If one of these histories would give you an edge when taking certain actions, you gain advantage. If your weapon contains the History of a sailor, you would gain advantage when you attempt to navigate by the stars, tie complex knots, or swim for long periods of time. Players use the Wielder Generator on their phone to roll up a new Wielder. Copy down the Wielder details to the character sheet. Make sure the player leaves enough room in their inventory to store their Tempered Weapon! Their Wielder now has access to all the histories, temperaments, and spells stored in their Weapon. The player MUST choose one (and only one) history, spell, or temperament from this Wielder to store in their Weapon. Tempered Weapons can only store five things, so if there isn’t any space left something will have to be replaced. Be sure to record the name of the Wielder along with the history, spell, or temperament. David’s Fireball spell, Lauren’s history as a trader, Ben’s noble temperament, etc. Hirelings. The classic solution to deadly adventures. 8-10 characters go into a dungeon, and the players control the whole group with various mechanics and rules. When a Wielder dies, a hireling immediately picks up the Weapon and the adventure continues. Health Pool. Combine the HP of all Wielders into a central pool. So instead of 4 characters with 5 HP each, the Group has a shared Health of 20. Whenever a character takes damage it comes from the shared pool, and when the pool depletes, the entire group dies at the same time. Individual Wielders can still suffer injuries, penalties, diseases, curses, etc. But Health Points are lost/recovered as a group. This is very abstract but still works fine in play. When one character suffers, the entire group must pick up the slack. Highlander. When a Wielder dies, another Wielder picks up the fallen Weapon and now gains the benefits of carrying TWO Tempered Weapons. Both Players work together to control this Wielder (taking turns when deciding actions, or just working out disagreements with dice rolls). Eventually, all players will be controlling a single Wielder carrying a bunch of Tempered Weapons…until they too perish. Hand-wavy Nonsense. Just keep the game moving with whatever is fastest and easiest. Create new Wielders out of thin air. Maybe the new Wielder was trailing behind the whole time, or was left behind by another adventuring party. Maybe the new Wielder is actually a monster or foe that picked up the weapon! This is David’s preferred method, because his players usually just care about puzzles and loot. After a few days very little changes. New Wielders start off where the last ones died. After a week or two, the perishables have spoiled, a few monsters have returned. After several months the area has been re-populated, reset traps, repaired hazards, etc. After a year or two most of the Weapons and valuables left behind to have been moved to another room/region. After decades the monsters and traps have changed. Re-populate with new creatures and switch out some of the traps. Tempered Legacy is an on-going project. We’re constantly adding stuff to the generators, tweaking the advice, and updating the rules. If you have some neat ideas we would love to hear them! Find David on Twitter or Discord (mercifulhacker#8993). Lauren Schirduan, the love of David’s life and his partner in crime. Ben Milton for making Knave, Maze Rats, incredible Youtube reviews, and a bunch of cool stuff. we stole SO many ideas from Ben. Chances are if you like an idea, we stole it from him. Joseph Manola for a bunch of the strangely useful random items that Knaves can start with. Freehold games for making the rogue-like David keeps coming back to again and again. 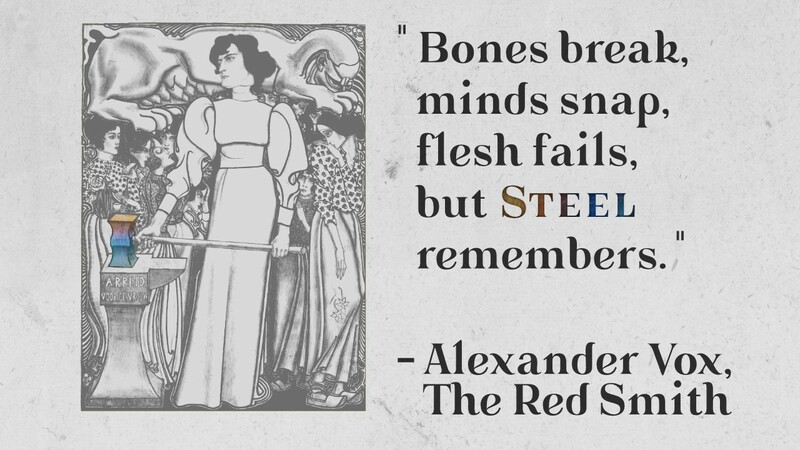 And to the OSR community for being such an encouraging, welcoming place.